If you’re looking to build your first business website, or just want to make a new start and create something fresher, and then read on. The chances are that you have been thinking about the best ways to get started – and in this guide, we’re going to give you some of your best options. Take a read and see what you think – and don’t forget to hit us up with your results! Let’s take a look at some of the different ways you can build your business site through 2016 -and beyond. Good with coding, and love making things happen and solving problems? 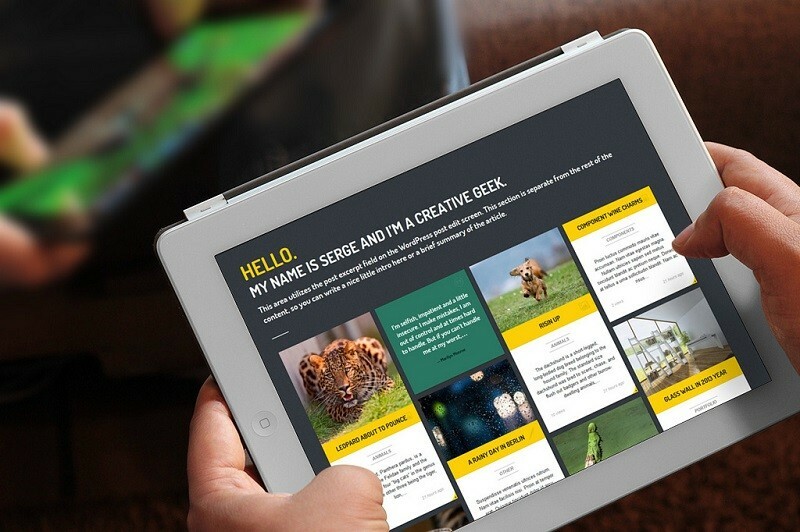 The why not build your website from the ground up, from scratch. You can type in raw HTML into Notepad, and use it with a combination of Photoshop and Illustrator. Tie it in with something like this – adobe.com – and you can make it all happen yourself. The only limits here are you imagination – and your coding ability. It’s going to take a long time, however, and if you have other business interests, it might not be the best option for you. Do you need help to start a blog and make money with it? Read this guide, where I share my experience of +5 years of blogging. Your next option can give you some amazing results – but it can cost you a pretty penny. That said, hiring a web designer has never been cheaper, as long as you do your research beforehand. You could, for example, pick someone from your local community, and work with them at close hand. You will regain a lot of control going down this route, but it will be expensive paying local prices. Your other option is to find a cheaper alternative from a developing country. There are some excellent designers in India, for example, who will do a great job for you at a much lower price. There are hundreds of website building programs out there online. So, if you don’t know much about coding, they are a valid choice – especially if you are short of cash. Take a look here for some reviews – makeawebsitehub.com. As you can see, there is plenty to choose from, and each of them works in a similar way. They are great for non-technical people and use a drag and drop method or something similar to help you create the right look for your site. One thing to bear in mind is that these services can be a little ‘samey’ – but it’s a small price to pay if you just want to get up and running. WordPress is one of the most popular content management systems out there, whatever your technical ability. Just buy your domain name, set up a hosting package, and install WordPress and you have a website. Of course, you will need to make changes as the primary templates aren’t much to look at. But there are hundreds and thousands of different WordPress themes around that you can use to give your site a professional sheen. Many of them require little or no coding experience, and a lot of them are free, too. Have you ever tried Genesis Framework? 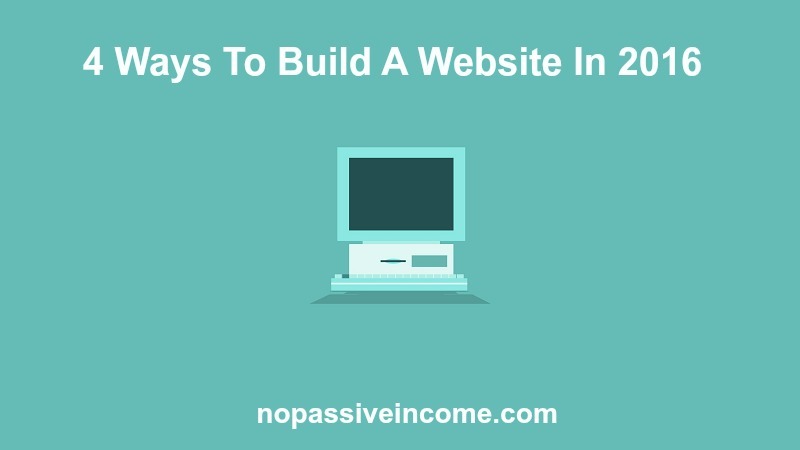 NoPassiveIncome blog is built with it. Got any more suggestions? Why not let us know in the comments section below? I was looking for the same as i have knowledge about HTML and CSS and wanna make my own website and your article helped me. I will try first method. Good to have you helped, Harry. Thank You so much for sharing Great Post on Build a Website. It was badly needed my for. Thank You very much. Good to hear that, Sangma. I also think that the best option is to use WordPress. I love WordPress too, Nadya. first of all i will say you thanks for this article. Thank You so much for sharing Great Post on Build a Website. It was badly needed my for. Thank You very much. again. Nice to hear your feedback, Rahul. So nice to see your valuable content on ways to build a website. I would like to choose to build up a site with using wordpress theme. I believe the best theme on wordpress is genesis. Another great example of using genesis theme with gorgeous design and that is no passive income. The way you designed your blog it’s outstanding. Thank you for your valuable share. Thanks for the kind words, it means a lot to me. Hello Erik, can you give me a rough estimate of the cost of building a site if I hire an expert from India? From what I saw around, it’s $100/150, more or less. Then of course, it depends on your needs, but we’re talking about a “standard” website installation. first of all i will say thanks for this article. Thank You so much for sharing Great Post on Build a Website. It was badly needed for me. Thank You very much. again.